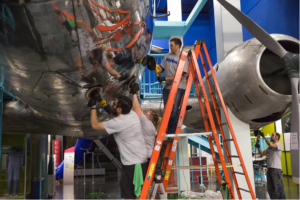 SkyWest’s success is a direct result of the incredible employees who help take care of hundreds of customers on a daily basis – despite delays or other challenges. Recently, four crewmembers – Dave Dalton – CRJ captain, Jody Mack – CRJ first officer and flight attendants Peggy Maneotis and Ruby Landreth – were recognized by passengers on two separate flights thanks to their efforts to ensure everyone had a good travel experience. From each of the letters, it’s clear that this flight crew truly provided excellent service! I wanted to send you a quick note to let you know that I had one of the best experiences flying in almost 40 years, and that’s even with a two-hour maintenance delay! We flew on Flight 5201 from Chicago (ORD) to Aspen, Colorado (ASE) on Saturday, Jan. 24 and everyone from the gate agent in Chicago to the crew – specifically your flight attendants, Peggy and Ruby; captain, Dave; and first officer, Jody – was everything you could ever hope for in terms of representing the best in SkyWest! They couldn’t have been any nicer, more pleasant or accommodating. What also added to the experience was that Dave and Jody continued to keep everyone informed on the status of the maintenance –something very rare and very much appreciated! I fly a lot, and this crew should be the ones teaching everyone on how to make sure customers have a great overall experience! Thanks again! This afternoon, my wife and I flew on Flight 6320 from Aspen, Colorado (ASE) to Denver (DEN), which was about three hours late due to a mechanical problem. I would like you to know that the captain, Dave, and cabin staff, Peggy and Ruby, went the extra mile and then some, to make sure the short journey was as hassle-free and pleasant as possible under the circumstances. Dave, at the request of my worried wife, came to look for me – the United gate staff needed to work on my ticket, resulting in my being last on the plane, and not the usual first. He found me on the apron and escorted me to the aircraft. 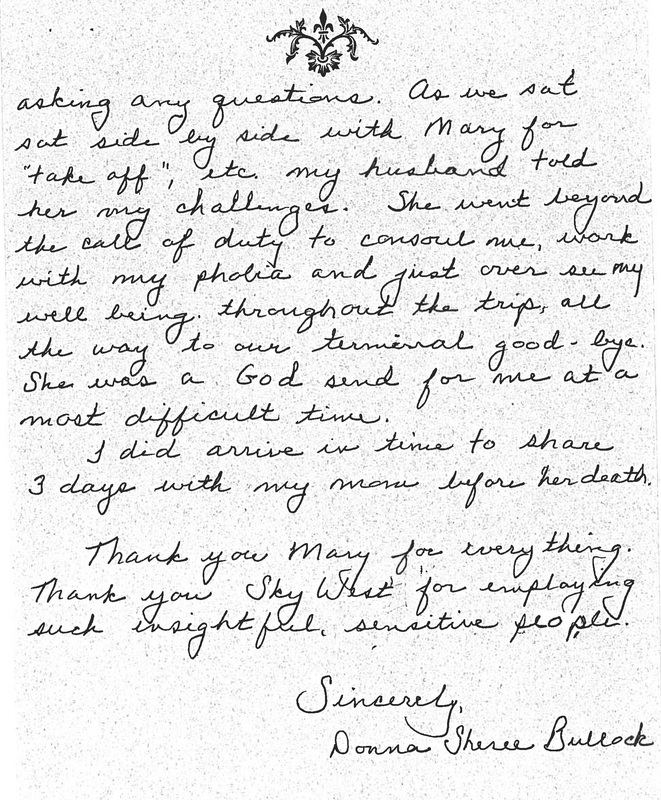 Peggy and Ruby involved themselves with the passengers, helping them where they could. Most of my flying is on European and Far Eastern airlines, which U.S. companies do not often compare to favorably. Today was the exception, and I wanted you to know that. These letters are just a few of the many compliments received each week and are great examples of the service SkyWest’s 10,000+ aviation professionals provide every day on nearly 1,700 flights! 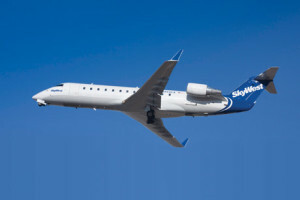 To learn more about the SkyWest team, visit www.skywest.com. 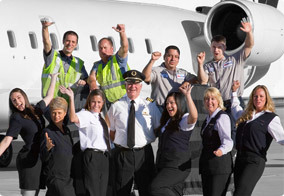 While SkyWest is known for operational and fiscal savvy, the true essence of our success has always been our people. The following are just a few examples from passengers who took the time to write in and recognize some of the above-and-beyond efforts of our fantastic employees. I have flown with SkyWest for many, many years and love your service and staff. I have actually chosen my carriers based on who keeps SkyWest under contract. Conversely, I have stopped flying with carriers or choosing routes that you are not part of. I cannot tell you how happy I am that SkyWest is the carrier for the Moab, Utah (CNY) air service. We have already flown numerous times with you out of Moab and loved it! 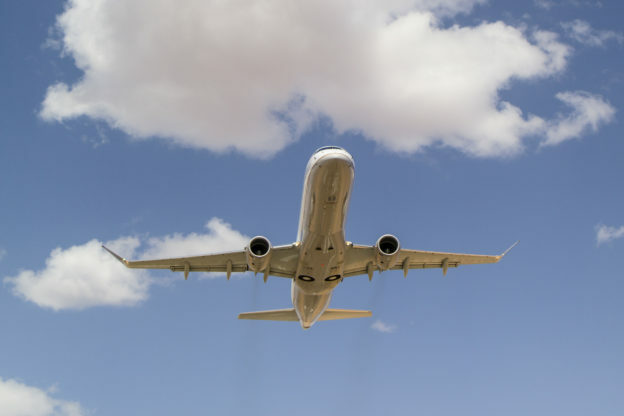 It’s the same exceptional service I’ve experienced over many years flying out of Grand Junction, Colorado (GJT) and other areas you service. Most recently, on Friday, Aug. 29, 2014, I had the great fortune of flying out of CNY on Delta Air Lines flight 7432 and Paula Eichbauer – a flight attendant out of SLC – was our attendant. I want to tell you that this gal is a star in your staff of flight crews. I have enjoyed, without exception, every SkyWest crewmember I have flown with, but Paula’s level of quality, caring service is extraordinary. 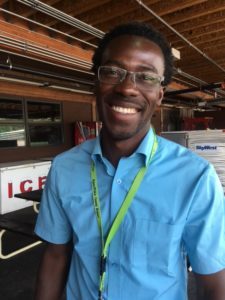 So much so that I really wanted to write to you in recognition of this amazing employee. So thanks for bringing your fine services to our little neck of the woods here in Moab. It’s beyond wonderful to be able to fly SkyWest even more with you here. Thanks to you all and especially to Paula for such extraordinary kindness, professionalism and care. My name is William F. Walsh IV, and I am a firefighter living in the city of Vista in the northern part of San Diego County. Last week, I attended the Fallen Firefighter’s Memorial in Colorado Springs, Colorado. My cousin, Lt. Edward J. Walsh Jr., was killed in a fire in Boston in late March of this year. Needless to say, it was a difficult trip. 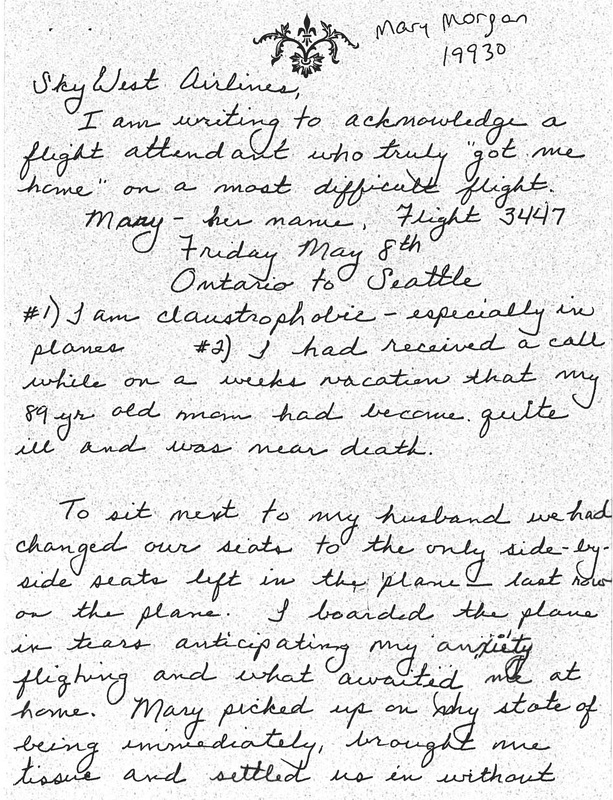 I wanted to comment about my return flight and your crew on Flight 6275 operated by SkyWest, from Colorado Springs to Los Angeles on Sept. 21. The girls were outstanding, especially Iris Kozisek. Both she and Amanda Beatty made my return flight very enjoyable with their personalities. It truly took the edge off of a rough trip. Please acknowledge your fine employees for a job well done. Thanks again. Thank you to our passengers for taking the time to point out some of the amazing work our people do to provide a great travel experience on more than 1,700 daily flights! Visit www.SkyWest.com to learn more! For a child enamored with planes, simply boarding a flight and taking a seat with their face pressed eagerly against the window is an experience to remember. 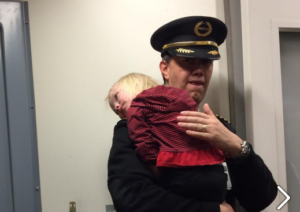 However, thanks to a special request, some amazing crewmembers and a carefully coordinated effort by SkyWest Airlines employees, five-year-old Calibrooke Myers recently had a flight experience that is sure to be cherished for a lifetime. 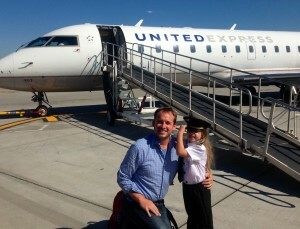 Kelsey Myers, Calibrooke’s father, reached out to SkyWest representatives before his recent flights asking if he could get some type of special memorabilia for his aviation-loving daughter. As Calibrooke boarded each of her flights, dressed in her captain’s uniform, she got a VIP tour of the flight deck and even had a chance to sit in the captain’s seat. 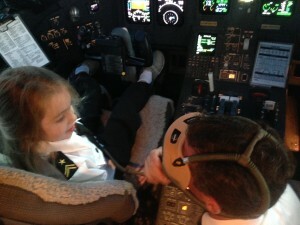 Wise and attentive beyond her years, she listened as the pilots explained what various instruments do. And it wasn’t long after takeoff that Calibrooke was busy explaining to other passengers everything she had learned about the instruments the pilots were using to navigate the plane as they ascended through the clouds. Calibrooke also received plenty of mementos as part of her journey, including wings, posters, cards signed by crewmembers and a sign with Calibrooke’s name waiting for her as she took her seat. The packages from the flight attendants also included the stickers Calibrooke’s dad was hoping for when he originally contacted SkyWest. 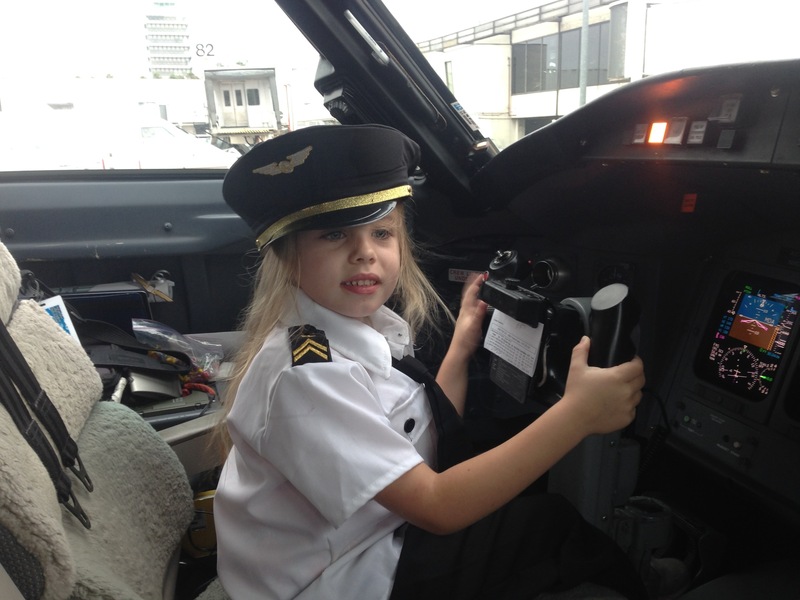 All of the attention added up to an unforgettable experience, both for Calibrooke and the crewmembers who witnessed the sincere joy this young passenger finds in flying. 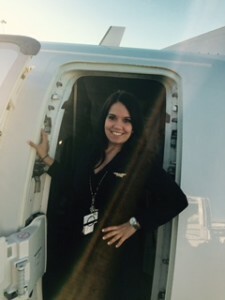 With her love for flight and natural ability to understand aviation, there’s a good bet Calibrooke could be back in the flight deck piloting her own SkyWest flight in the future!